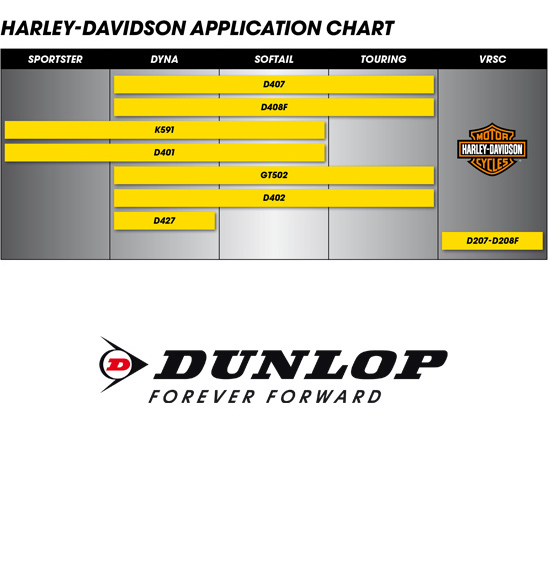 Dunlop and Harley-Davidson® have had a long standing relationship. These tyres have been designed in co-operation with Harley-Davidson®, delivering strong, secure handling in all conditions. Many Harley models roll off the production line with Dunlop tyres, so you can be certain you are getting the best possible tyre for your ride with the Dunlop Harley-Davidson Series.